Quarts of high quality snow cone syrup in glass bottles $7.99 ea. Gallons of snow cone syrup $ 9.99 each. Customer to supply ice for snow cone machine. We recommend 25-30 pounds of ice per 100 snow cone servings. Our snow cone machine uses regular cubed ice available from your local store or ice from your ice maker. Our snow cone machine does not use block ice. Bags of ice are available in 7, 10 and 20 pound bags from local grocery and convenience stores. We do rent ice chests if you need somewhere to store your ice and table rentals to hold everything. 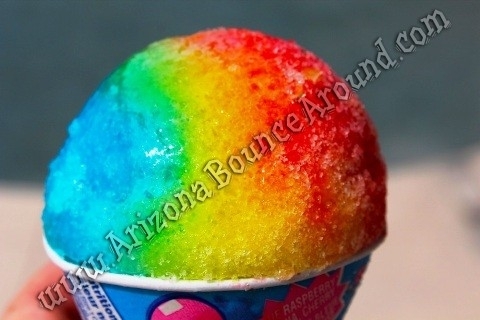 We only rent professional snow cone and shaved ice machines with high quality snow cone supplies starting at only $64.95. 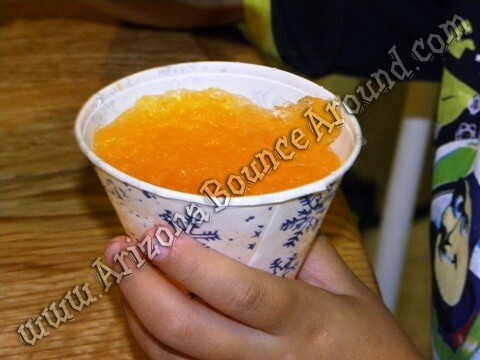 Renting a snow cone machine is a big hit for parties, special events, movie nights, school carnivals or office parties with ice cold snow cones. No party is complete without a snow cone machine and we rent them. Our snow cone machines have long cords to eliminate the need for extension cords in most cases. 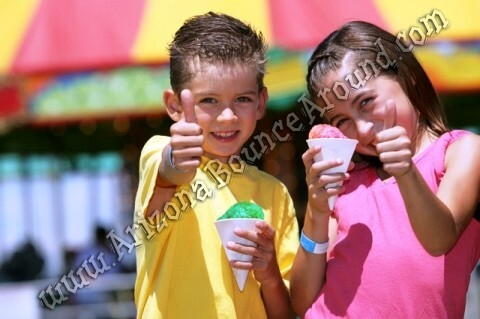 Renting a snow cone machine can be a big hit by itself easily enjoyable by everyone. 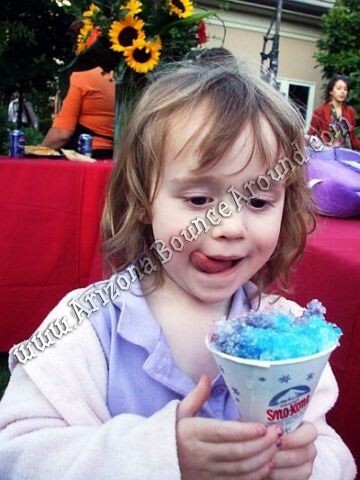 Our rentals include in a very easy to use snow cone machine and metal snow cone scoop. 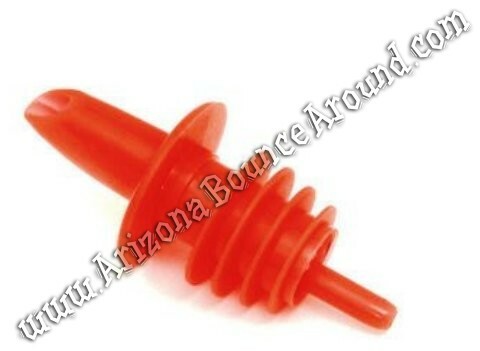 You can order the machine with or without cnow cone supplies. 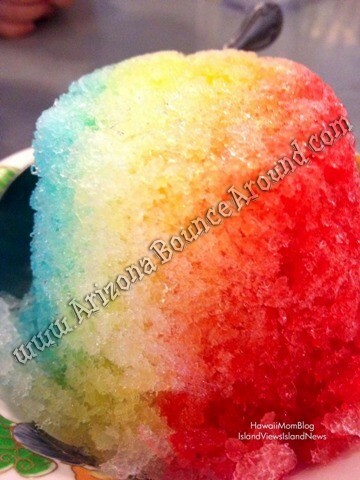 All of our snow cone syrup comes pre mixed so no need to measure the snow cone syrup before use. 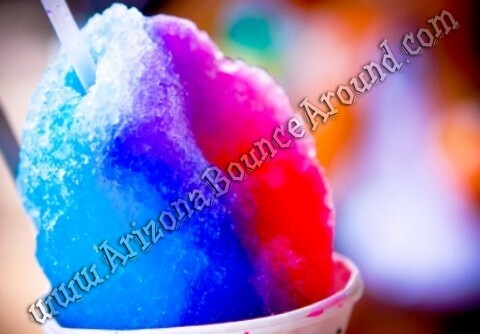 We sell only high quality snow cone syrup for all our concession machine rentals, the same concession supplies used at fairs, carnivals and movie theaters. Rent all your concession machines from Gravity Play Events located in Denver Colorado and we deliver to the Denver metro area or you can pick them up from or office. Hey Mom, can you tell what flavor snow cone i just had?